Sry about guest posting, my computers having a problem reading its own code, but I'll fix it asap. OK, I'll do that... but in two weeks time Now I won't come back home until two weeks. I have some business to do uphere in Poznan. If you want to check on a person's profile via clicking on their name in the "Currently on this Thread" section, it will come with an error, can't find users.php. just wanted to inform :). I REALLY like this website. It's the first website where I actually put posts on forums. No joke. I want to personally congratulate Tenshimitsu on creating this masterpiece of a website. Well done to you and everyone that helped if you had help. Well, Nice!!!! very nice Yoshi website. Ms Joanna GREAT JOB about the website and her masterpiece... Yoshimitsu Tekken4 and Tekken5 FAQ!!! absolutley wonderful!!! Might want to change 1th kyu to 1st kyu. Same with Dan. Just a heads up. Hello everyone. I joined this site recently and I must say I haven't seen one single member here besides me. There's never anyone here and it's sad because this site seems cool and it has great potential, but it's so lonely here. Well... maybe because it's vacations time? this site is online for 4 years... many, many topics has been discussed since then. I think this might be the case. :)Yeh this is the best yoshi website i have found on the internet. I love Yoshimitsu with all my heart:love and i am honoured to be a member anyone wants a private chat just pm me ok.
More music i would like to have tekken 5 music as i like the japanese music on the psp version too. 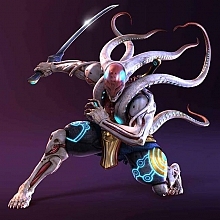 as does the last part of the combo starter Yoshimitsu? # ff76891012 : as does the last part of the combo starter Yoshimitsu?